Having been rebuffed by Ron Schultz in every attempt to engage over this process, we turned to another source for help. We called Donald Stewart, a lifelong Methodist, a friend and supporter of our church, and an attorney. He called Bishop Willimon and told him we felt the move to change our status was against the Discipline and informed him that if a move were made at Annual Conference to formalize that decision, we would ask for an Episcopal ruling. 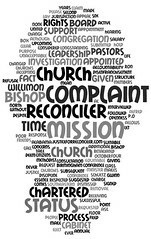 Bishop Willimon responded by saying he didn’t realize we were a chartered church, but allowed that they could not remove the existing board if that were the case. Thursday-Saturday, June 2-4, 2011. North Alabama Annual Conference. 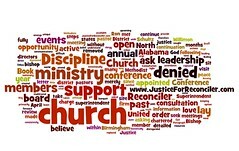 When the conference ended and no action had been taken to change the status of Church of the Reconciler, we believed that we had successfully stopped the effort to take over our church. However, we were still in a state of grief and shock concerning the removal of our pastors without notice or consultation. We were not permitted to say goodbye to the Higgs, celebrate their service to us, nor honor Lawton Sr. for the work he did in founding this unique ministry. They were disappeared from the church and we were still made to feel that any effort on our part to contact them, especially Kevin, would result in the loss of his credentials.